Rudi Brooks fans the flames of the family business with his tasty condiment line, Rudi’s Authentic Hot Sauce. Brooks uses only fresh peppers in his line of sauces. "I want to blow your mind," says Rudi Brooks. "I want you to look at the bottles and see five red sauces that all look the same, but then taste them and see that they have completely different tastes, different heat levels." Brooks is the man behind Rudi's Authentic Hot Sauce, a small line of hot sauces that sprung from his family roots in the Bahamas. His father, Greg Brooks, grew up in Nassau. "He has this passion for hot peppers to the point where I tell people if you took hot peppers out of his life he probably wouldn't even live anymore," Brooks says. "It's crazy. He lives for them. Literally." The elder Brooks is actually known as The Peppermaster, which is also the name of his own brand of sauces, syrups and mashes made from hot peppers. He started a sauce company, Constant Creations, while running a restaurant, The Appletree Landing, in Canning. Eventually he fell in love and moved to Rigaud, Quebec. "And there The Peppermaster was born," says Brooks. But Brooks wanted something a little more approachable than the eccentric roster of mashes and elixirs that The Peppermaster specializes in, simple finishing sauces meant to go on the table with salt and pepper. Emphasizing the flavour as a finishing sauce, Brooks only uses fresh peppers for all of his sauces. There is nothing fermented and no additional extracts, so there's no comical addition of heat to turn a drop or two into a sideshow or a double-dare. Each year Brooks makes around 500 cases, 12 bottles per case. Everything is made by hand, right down to the logo he drew himself. "I call it a father-son production. I really rely on his expertise," he says. Brooks makes the sauces with his father in Rigaud. "It was also a way for my dad and I to get back in touch with each other. 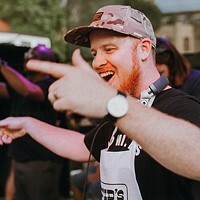 Since he lives, eats and breathes hot sauce, a great way to connect with him was to make hot sauce with him." 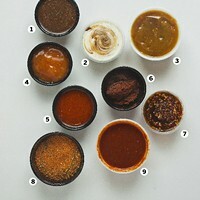 There are five flavours in the Rudi's Authentic Hot Sauce line. Sweet Cherry Bomb, garlicky and sweet, has the least amount of heat. Smoky Jalapeno Bacon is flavoured with sun-dried jalapenos and roasted garlic and red chilis, accented with the smokiness of a bacon extract. Thai Bird Tang has a tart vinegary zing and the big heat of tiny bird's eye chilis. Heat gets even more intense in his signature Goat Pepper Fire sauce, which has the fruity tropical notes of the goat pepper. And the sweet, sticky burn of Candy Reaper Burn is the hottest of the sauces. 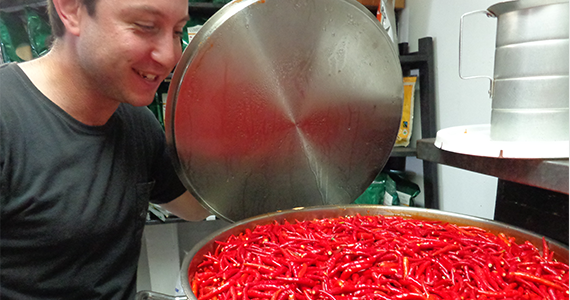 "That pepper itself is the hottest pepper in the world, so it's my hottest product," he says. "I try to tone down the heat a little bit so everybody can enjoy it, though. Don't get me wrong, it's bloody hot, but it's not ruin-your-meal hot." His sauces are silky smooth, triple refined. "There's no chunks in them," he says, "making them really neat to cut into condiments like sour cream or mayonnaise or mustard." Since they are finishing sauces, the two things that Brooks says are most important to think about are flavours and texture. 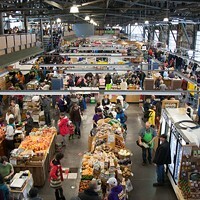 "If I'm making a dish with garlic, I want a hot sauce with garlic in it," says Brooks. He says you need to look beyond the heat and find the best use for each sauce. "My Thai Bird Tang has key lime in it, so there's a really nice lime flavour that is good with fish or guacamole." 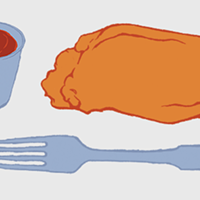 As for texture, it all comes down to how you are ultimately going to use the sauce. "I would want a runny hot sauce in a cocktail," he says. His Goat Pepper Fire has a thin consistency that works well as a way to spice up a Caesar or a Bloody Mary. "And sometimes on eggs that consistency can work well. But for chicken wings you don't want it runny. Sometimes, like when you grill, you might even want a mash, which is like a thick paste. "It's ridiculous," says Brooks. "I usually have about 15 to 20 bottles open in my fridge." 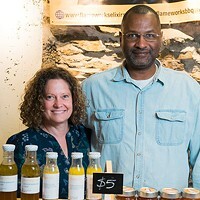 How one couple’s preservative and additive-free sauces and rubs are heating up the Brewery market. 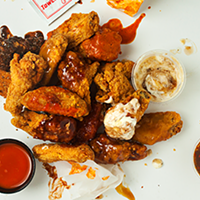 Sample the spectrum of wing sauce options with this pungent palette for your palate. 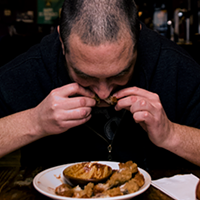 With 100 reviews under his belt, no-frills food blogger and seasoned expert Shayne Chapman is the best wingman Halifax could ask for. Enter the bone zone and chow down on these sweet and spicy deals around town.